Is it a bird? Is it an aeroplane? No, it’s a drone! With two pairs of spinning rotors whizzing through the gales and witnessing all worldly happenings via its movable lenses, drones have duly made it to the top of current trends. Truth be spoken, every time a remote controlled quad-copter passes over your head, your curious eyes are bound to follow its receding trail. While the term drone was initially coined to signify “Unmanned Aerial Vehicles” or UAVs, today, it predominantly points towards remote controlled quad copters in general. By definition, they are UAVs remotely navigated by a human pilot using GPS-based tracking system. Ranging from kids to comprehensively large industrial firms, drones have started to prove their mettle to varied necessities. So, where did these drones come from? What is their true purpose? Why do they even exist? Well, to answer the above queries, one needs to turn back the pages of history significantly! More than a century ago, in 1916, Aerial Target, the first drone or UAV in the history of mankind, saw its first daylight from the P. Hare Royal Aircraft Factory, in Putnam, USA. Conceived through the hands of Captain Archibald M. Low, its primary purpose was to take down the German Zeppelin aircrafts. However, lack of technological efficacies prevented the ‘Aerial Target’ to spread its wings ever. However, a year later, another UAV did make its maiden flight owing to the expertise of aeronautical legends Lawrence and Elmer Sperry. The Hewitt-Sperry automatic airplane (as it was called), after a successful demonstration to the US Army, claimed the notion of an aerial torpedo. Following suit, in 1918, ‘Kutterbug Bug’, the first of its kind aerial torpedo, presumed test flight. However, its emergence in the post World War I (WWI) era, coupled with the lack of maintenance funds, saw this project being scrapped as well. In the meantime, quad copters (modern drones) were also taking shape. In contrast to UAVs, quad copters could harness the efficacies of vertical flight and landing providing easier maneuverability. Thus, the year 1920 saw the emergence of Omnichen 2 (the world’s first remote-controlled quadrotor). It made more than 1000 successful flights and covered a record distance of 360m. · Larynx, developed and deployed by the Royal Navy between 1927 & 1929. It was finally in 1936, when the Chief of US Navy’s research group coined the term ‘drone’ aimed at denoting all radio controlled aerial targets. However, drones received its first revolutionary design upgrade during WWII when they began to be laced with jet engines. Post war, the result, the Teledyne Ryan Firebee I (1959) was born. It was during the same period that the Curtis Wright V27 and Covertawings Model A quadcopters took center stage. Time scaping from 1960’s to the 2000’s, drones underwent significant structural as well as design upgrades. However, quadcopters and UAVs received a major production boost in the 1990’s owing to a significant reduce in production cost. Today, these two variants have gained significant market prominence in their respective sectors. While national military bases are equipped with drones capable of being controlled from more than 7,500 miles away, integrating GPS tracking in their flight simulations, these UAVs can deploy a missile just with the press of a button. Considering the commercial sector, quadcopters have gained predominance in this respect especially in the photography and surveillance industry. Owing to the latest updates, drones are also being developed for delivery of goods and services as well and this is where, the varied application of drones must presume discussion. Harnessing from valid facts, the predominant commercial use of drones initiated with the photography sector. Categorizing its application areas, here are its genre based applications. Owing to eminent names such as DJI or GoPro, drones today come with 4K enabled cameras. Subsequently, these quadcopters have become increasingly popular amongst photographers and videographers alike. This has subsequently brought down production costs as aerial shots which previously required a chopper can now be easily accomplished by a single individual adept in drone flights. Note: Close up shots of volcanic eruption, for instance, can be easily captured with a drone; previously not feasible by humans. In fact, toy drones with basic amenities and lenses have now made their way in the hands of children serving to be a base for developing a young photographer’s skills. Moreover, drones are also finding extensive use amongst sports coaches. They can now track the position of their players on the pitch; thereby enabling them to carve out better on field strategies. Police forces across drones to analyze critical situations such as a recurring traffic jam or even a mob outburst to plan out an effective solution to the same. smaller, allowing them to easily man oeuvre through crops. Some unmistakable benefits of agricultural drones include the following. a) Keep a close track of moisture levels, nutrition results, as well as monitor the overall vigor and saturation of a paddy field. b) Depending on close up pictures shot by these drones, farmers are able to identify the weak points in their crops and deploy the necessary nutrition in the respective areas. c) Photos also help to identify pest attacks or even water clogging preventing unwanted loss. d) An overall view of a crop field aids farmers in identifying the presence of optimum and uniform vegetation cover. Moreover, these drones also come laced with thermal mapping sensors allowing them to detect irrigation uses. These heat mapping UAVs can also detect the amount of heat dissipating from a crop or a greenhouse ensuring healthy growth of the crops. 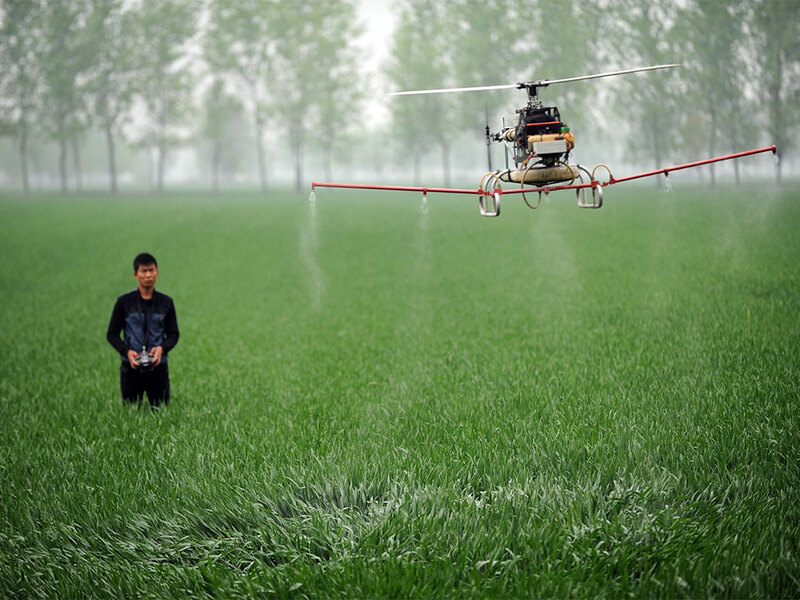 Note: Carrier drones come with gripping facilities allowing farmers to spread pesticides over the farms uniformly. Considering medicinal purposes, drones are finding increased use in the African countries as of now. Not only are they helping to transport emergency medicines to critical patients at the earliest, but also to identify occurrence of emergencies and reporting the same to a doctor. For instance, in a recent update, Matternet, in association with UNICEF used drones to transport HIV medical testing kits to centers in Malawi. The country currently has the highest percentage of HIV infected individuals and these drones emerged capable of carrying close to 230 blood samples in a single transit. Drones are also proving to be life saviors in sending food and amenities to victims of ship-wrecks and similar emergency situations. 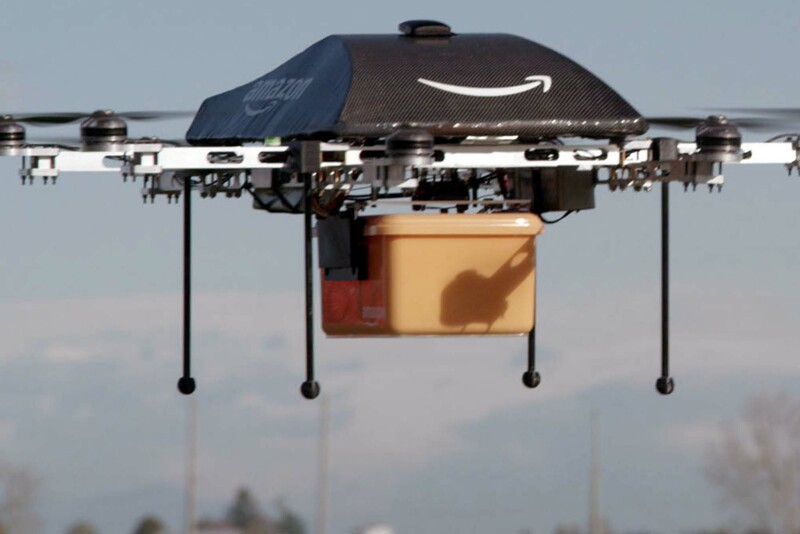 While Amazon became the first company to carry out an unmanned delivery of its order, more and more companies are looking to harness this possibility. However, as per the requirements, hexacopters will replace quadcopters in this category owing to the increased carrying load. Another major emerging use is in the construction of skyscrapers. These UAVs are helping engineers to judge the alignment of an upcoming high-rise and ensuring its proper construction. Everything said and done, drones, although providing several advantages also come with multiple cons and restrictions, as are highlighted in the following section. Perhaps the biggest benefit, drones save millions of lives by preventing soldiers from entering invariably suicidal zones. Moreover, their surveillance capabilities allows inspectors to locate people in danger and rescue them in due time. Owing to the aerial route, drones save considerable commuting time. Additionally, being battery powered (commercial ones), they save significantly on fuel charges. The absence of humans makes drones independent of fatigue, thereby increasing their operational duration. In fact, operators can conveniently switch hands, allowing drones to be operated on a continuous basis. Other than this, these UAVs serve to be precise spying agents owing to their low altitude flying capabilities than most fighter planes. Accuracy of missile deployment is also a vital factor to consider in this case. Considering military usages, drones are incapable of establishing human communications, gathering Intel or even capturing surrendered hostiles. They are also incapable of taking over military bases or setting a perimeter around the area. As of now, drones continue to work on GPS based navigation. So, loss of signals can often lead to a drone go astray. Most reliable recreational and commercial drones are still expensive to purchase. Budgetary constraints often limit their accessibilities, thereby still making them a luxurious asset. With the increasing number of commercial and toy drones touching the skies every day, governments of various nations have framed several drone flying conditions. In countries such as the USA or Canada, adhering to these conditions will keep a drone out of legal jurisdictions. Drones should be flown to a maximum height of 90m above ground level. Approximately 75m away from vehicle borne streets and public spaces. A minimum of 5.5 to 7 km away from airports, helipads and aerodromes. Within 500m to 700m from the take-off location. Avoid flying drones during night. At least 2 km away from hazardous or emergency places. Note: If a drone weighs 35 kg or less, one need not take any legal permission to fly them. However, drones weighing above the threshold limit, must procure a SFOC (Special Flight Operations Certificate) from the concerned authorities. When talking of the future of drones, the first prospect that comes to the mind is the inclusion and embracement of Artificial Intelligence. In this respect, commercial drones are looking to integrate AI with deep learning to identify the path of their regular transit. Such an initiative will allow a drone to become completely independent of human controls as deep learning will enable it to trace its own path owing to GPS based package drop points. Drones and quadcopters are also looking to gain predominance as fire-fighters. These specially abled UAVs will be able to traverse through raging fires, locating the source of fire for experts. In a nutshell, drones are finding their use in a varied range of market scenarios. With every passing day and with the advancement of technology, these unmanned flying vehicles are sure to be a significant contributor to the development and safety of mankind as a whole. Extremely thorough research! It was a very interesting read, you covered many aspects of drones that I was unaware of. Interesting. I hadn’t thought about some of these uses. My cousin has a drone and uses it for photography and fun. It takes great aerial pictures. great post! I love drones. I don’t own one but I desperately want one haha! Would be great for my vlogging and travel videos. They are amazing things and you really covered a lot in your article. Wow, and I thought they were toys! Actually, I’m joking. Massive future for these unmanned flying machines. How difficult is it to get a license to register a drone? Is it time consuming and expensive? I’d imagine more than a few people would have privacy concerns with this? In which country you would like to have a licence? This is fascinating – thorough and enjoyable writing. Really expanded my understanding of drones and the broad range of uses as well as the history & evolution of drones. Very cool.